At Hunter + Co Communications, we help you determine what your public relations planning should achieve and set up an overall framework to reach your objectives and goals. We then formulate a clear and defined plan that will help your business achieve optimal results. In planning, we consider tools such as a strategic media outreach strategy, bylined articles, white papers, speaking opportunities, crisis planning and the use of blogs and social media to further promote your mission and heighten your brand awareness and visibility. The world gets its news from more places now than ever: it’s vital you’re represented on all mediums to make an impression on potential customers. Traditional press, online news sites, social media, interviews, and speaking engagements must all carry your message to be effective. Gain the knowledge and opportunities to reach everyone in your market. Learn more about Social Media Strategy and Media Training and Coaching. 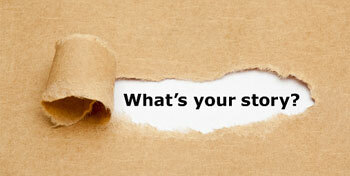 Writing is the currency of public relations: from the speech you’re about to give, to a monthly blog for your website. Find and master the voice of your company and produce content to populate articles, generate leads, and help visitors find your website by enhancing your search ranking through targeted content. Learn more about content as part of your PR Strategy Development. Planning your public relations isn’t just about getting your message out: it’s about making sure it’s clear. Learn how to keep your message separate from your competition, deal with negative feedback, and be prepared to rapidly respond to a public relations crisis in the event it occurs. Learn more about PR Crisis Management. Let Hunter + Co be the company that narrates for your business. PR Consultant, former radio journalist. Proven expertise in designing and executing successful global media relations programs for top brands.